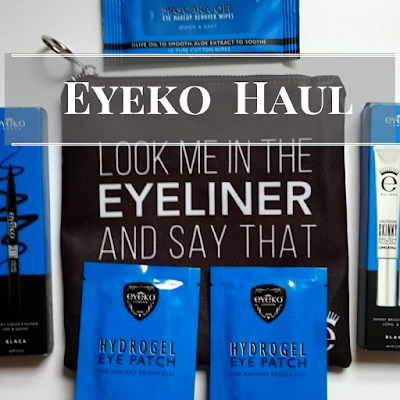 You'll know my love for Eyeko products if you've been reading my blog for any length of time. So when I had a chance to get 20% off in a private sale I jumped at the chance. 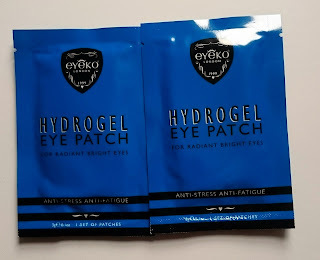 I love Eyeko, I've been a fan since they started a few years back. I took a chance and I've never looked back. Due to them having a 20% off sale I knew I had to try something I've seen with rave reviews but have never purchased. So I decided to buy a kit that not only included my favourite mascara but a makeup bag and an eyeliner. Sadly this order didn't work out with the amazing customer service that I expect and am used to from Eyeko. I ordered my set and it was shipped on the 23rd November but 2 weeks later my products still hadn't arrived. As I'm moving shortly after Christmas I did start to worry and tried to contact them to find out what was happening. It wasn't easy to get hold of Eyeko. I've tweeted them multiple times, Facebook messaged them, Instagrammed them and emailed them three times before the situation was rectified. I was told I had 'pre ordered' the products and it had stated it would take two weeks before they were shipped but nothing of sorts was mentioned in my order confirmation and I'm pretty sure I would have remembered reading such thing on the website. After 2 weeks and what felt like hundreds of messages, I got an apology and some free products all sent via recorded delivery. First up the makeup bag, which was my main reason for buying the set. 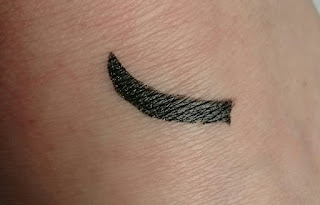 I'm a massive eyeliner girl and this appealed to me so much! It's a black bag with 'look me in the eyeliner and say that' on the front. The other product in the kit was the Skinny Liquid Eyeliner in Black. As I wear eyeliner everyday I'm always on the look out for an amazing eyeliner pen, as I've yet to find one. I'm sad to say that this just hasn't rocked my world. Don't get me wrong, it flows really well, it doesn't drag on the skin and it's a lovely dark black; until you use it on top of anything. On your hand it comes out gorgeously dark and delicious. On your eye if you have BB cream or foundation on, it seems to come out a grey/brown shade and you have to go over it a few times to get a true black colour. It doesn't seem to cope very well on top of other products and I find I have to do my eyeliner before I do anything else if I want a super dark shade that I long for. The products I got for free were Mascara Off and Hydrogel Eye Patches. I've never tried either of these products before. 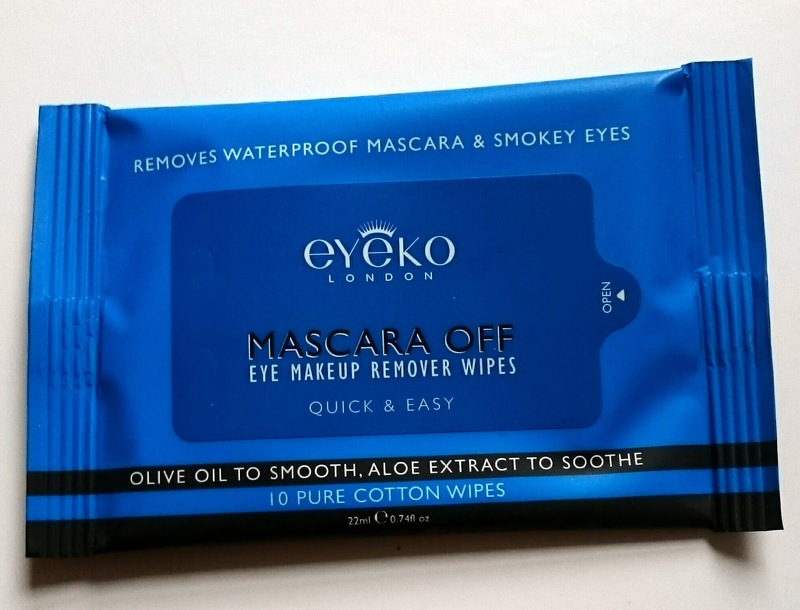 Eyeko mascara can be a bit of a mission to get off but these eye makeup remover wipes makes it super quick and easy. It just seems to melt the makeup away. They contain Aloe Vera to soothe the eye area, Olive Oil to smooth, Grapefruit to refresh, Allantoin to reduce puffiness and they are paraben free which is perfect for sensitive eyes. They are on the more expensive side of makeup remover wipes at £6 for 10 so I only use them when I've done a full on face of makeup on a night out. I don't know if I would repurchase them due to the cost but they certainly do the job! Hydrogel Eye Patches. These promise to leave you with radiant bright eyes that diminish the appearance of dark shadows and puffiness. They contain botanically infused gel that helps give you a wide awake look and contain vitamin B to treat the eye area. You just pop them out the packet, onto the eye area and leave for 30 minutes then gently pat the area to help the skin absorb the nutrients. I haven't tried these yet as I haven't had the time sadly but I'm hoping to use them on the lazy days between Christmas & New Year! 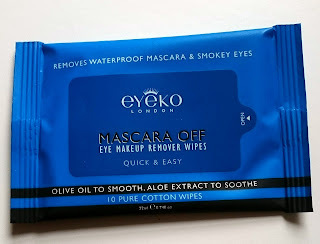 Over all, I haven't had a brilliant experience with Eyeko this time but I will be repurchasing the mascara in future. I love this post, I've been all about the eyes recently when it comes to skincare and makeup so thanks for this post! I would love to hear how you got on with the eye patches, will pop over after the hols, I really need some tlc around my eyes at the moment.